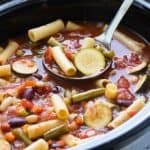 Today I’m sharing one of my very favorite soups but a healthier, low-sodium version… Slow Cooker Vegetable Minestrone! 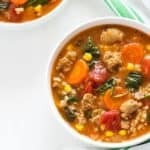 I enjoy soup year-round and this is the perfect warm weather soup. 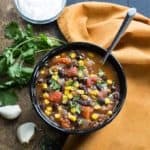 I was so excited to receive a copy of Shannon Epstein’s newest cookbook recently… it’s chock full of delicious, low-sodium slow cooker recipes. 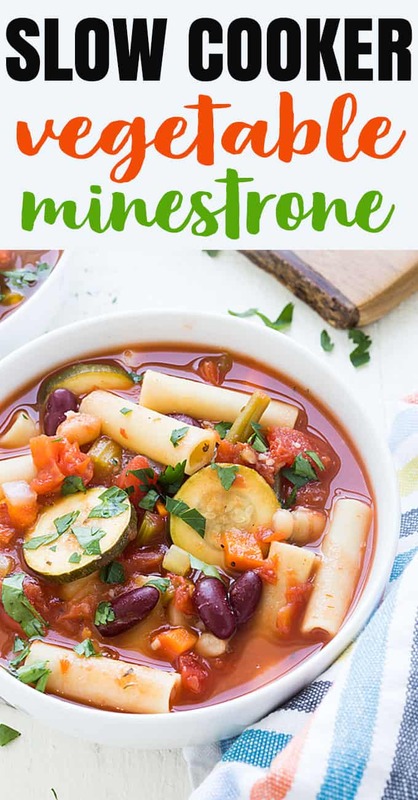 While reading all of the recipes, this vegetable minestrone caught my eye because I have just recently planted my summer garden and have fresh summer veggies on my mind! 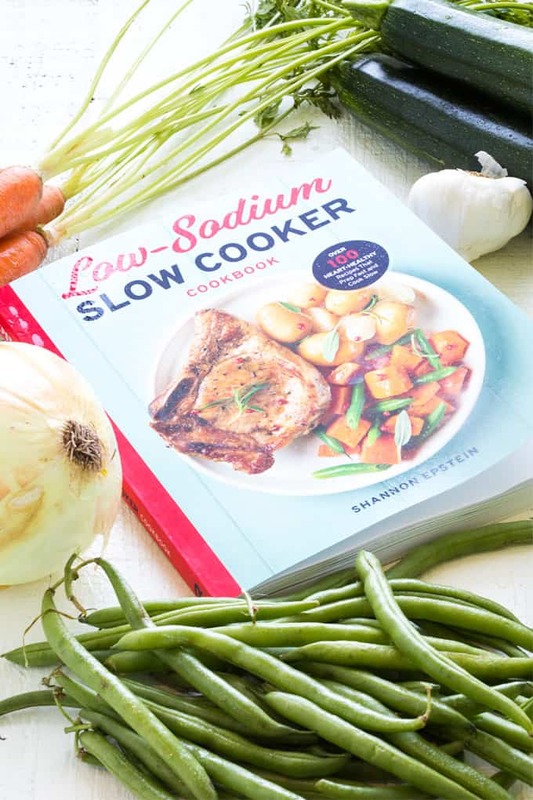 Shannon’s second cookbook, Low Sodium Slow Cooker Cookbook, is full of heart-healthy, low-sodium, flavor-packed slow cooker recipes. 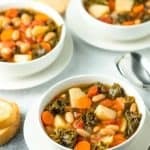 I have to admit that I am a lover of salt but never missed it at ALL in this recipe. 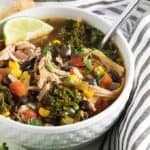 Any leftovers you might have are even better the next day! 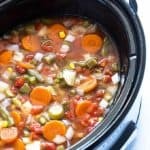 You can find Shannon over at Fit Slow Cooker Queen for easy and healthy slow cooker recipes. 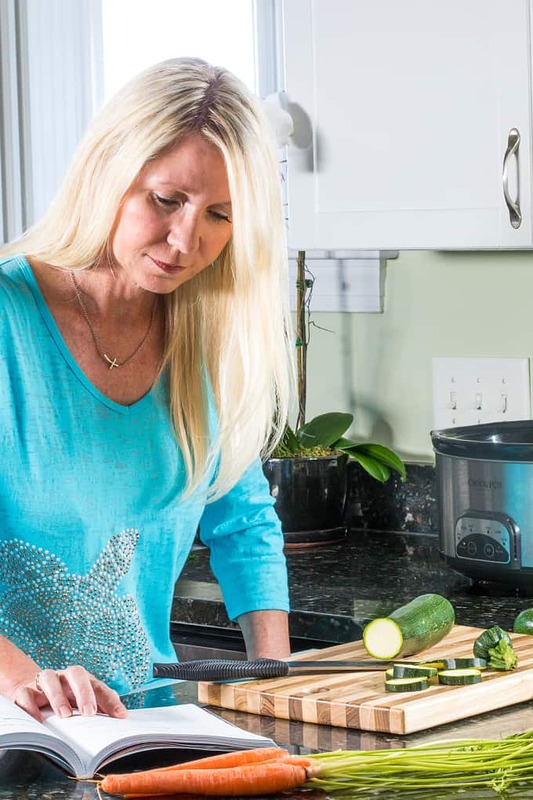 Shannon is giving away a copy of her cookbook and a slow cooker as well… I’d love for one of my readers to win! 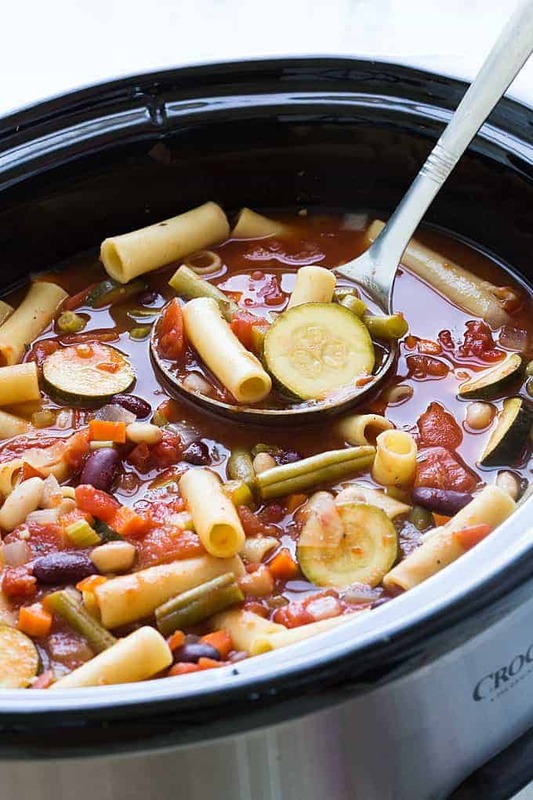 In your slow cooker, combine the diced and crushed tomatoes with their juices, broth, kidney and great northern beans, celery, carrots, onion, garlic, green beans, zucchini, Italian seasoning, salt, pepper, cumin and bay leaves. Stir to combine. Add the pasta and cook for an additional 15-30 minutes, or until the pasta is tender. 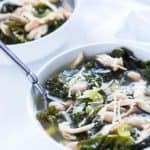 Remove and discard bay leaves and sprinkle with parsley just before serving. This is gorgeous! 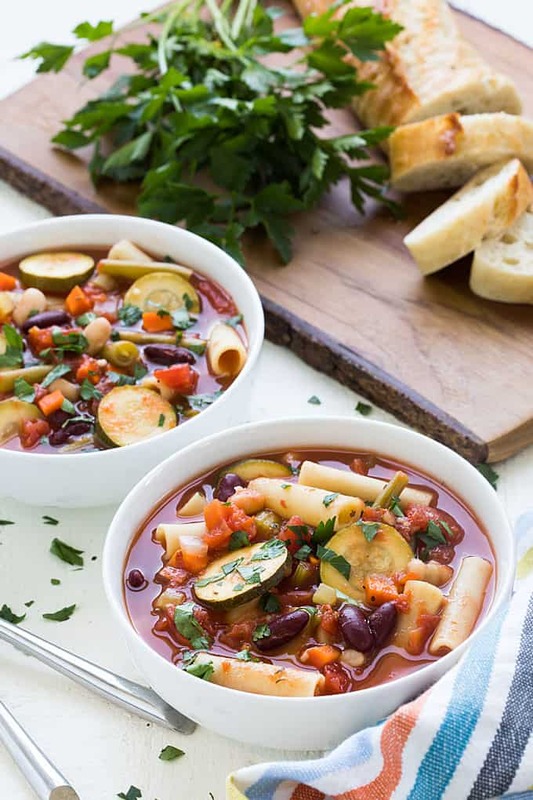 I love minestrone so much but it’s awful how much sodium is in the canned variety. This one is going on my list!